New Pacemakers from Mercury Racing come with a full factory warranty. These are boat show or display engines and never have been run or in a boat. 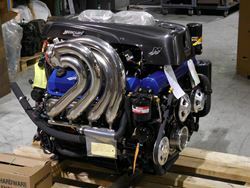 New 540 EFI directly from Mercury Racing. Complete and ready to install. Full 2 year factory warranty! Does not include tail pipes or DTS rigging components. 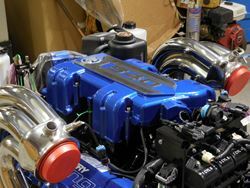 SOLD New Pacemaker 565 EFI directly from Mercury Racing. Complete and ready to install. Full 2 year factory warranty!